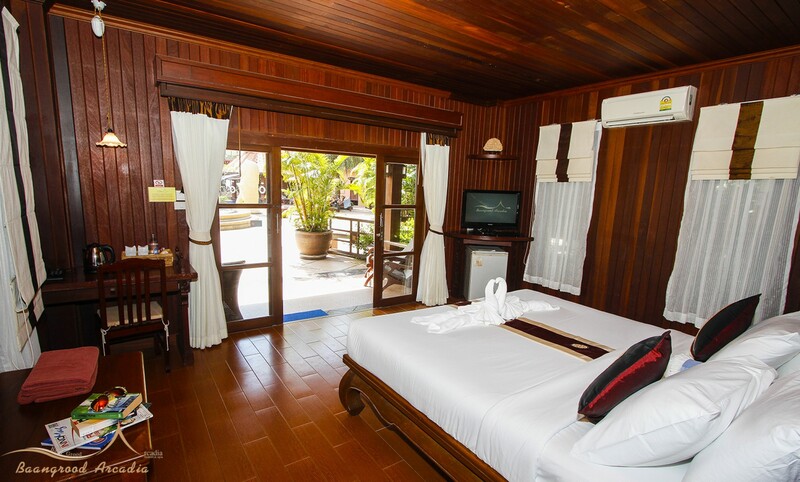 Feel the nature lying down and relax, from your room decorated with diverse ornaments complement one another overlooking the blue ocean. 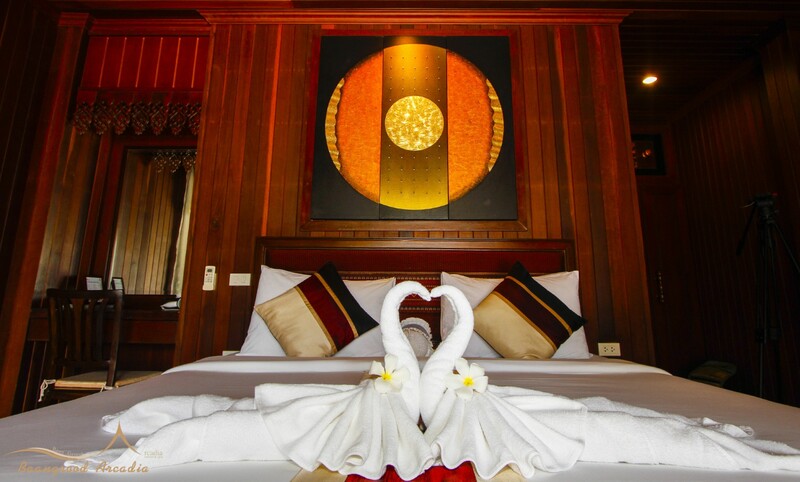 The bedroom is smartly arranged in Thai approach, and of course, modern and fitting items prepared to contribute to an easy and effortless way throughout your vacation. 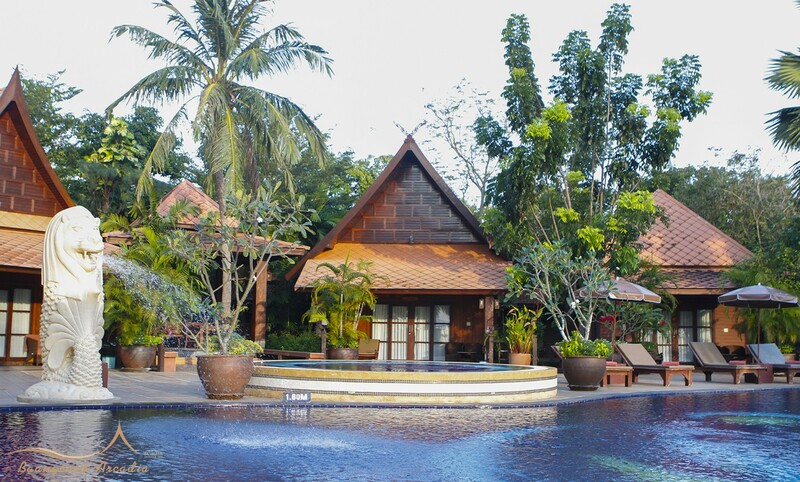 The villa front is intentionally placed next to the grand swimming pool, whereas you definitely can enjoy cleansing and moistening yourself in an attractive open-air shower room sited in the compact backyard. Only four units of Double Bedded Room are available. 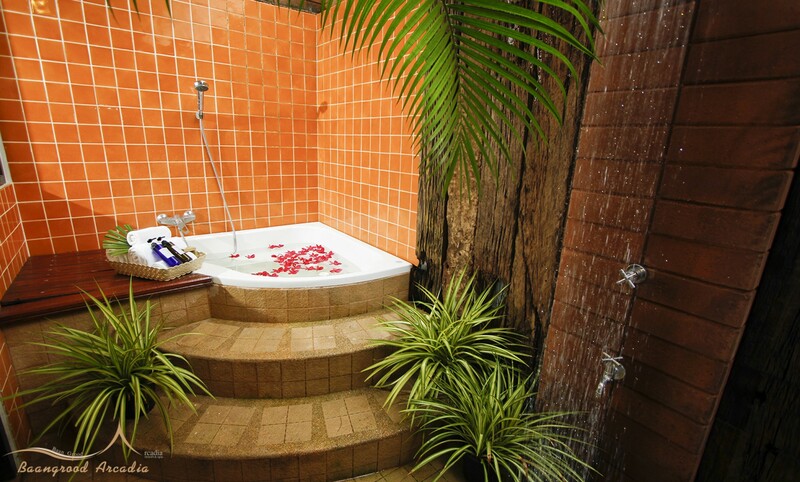 • Bathroom with shower has two separate wet and dry areas plus water heater. 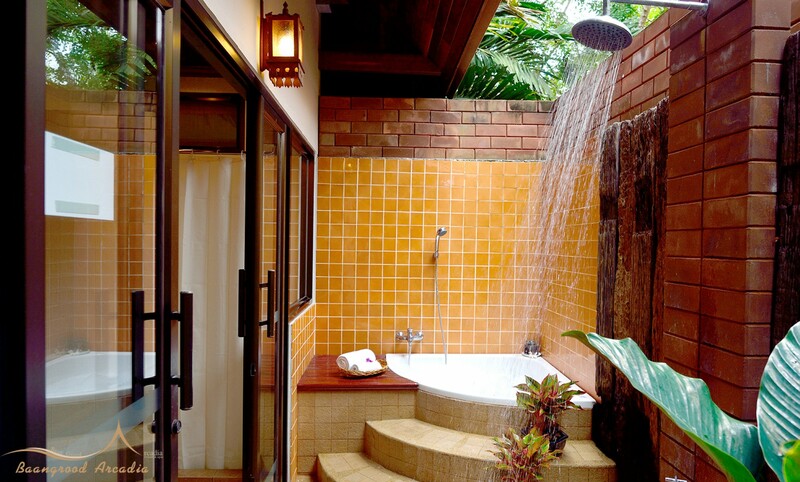 Additionally, a cozy open air shower is available.